Inglis Rural Property is excited to offer 'Lockhart' (c.1890's), a productive 905 acre property with historic charm in the increasingly popular rural area of Bungendore NSW. Close proximity to Canberra, the South Coast and the ski fields, Lockhart offers a unique opportunity to purchase a scenic and productive farm, only an hour's drive from the nation's capital. Situated 14km ex Bungendore, 49km ex Canberra, 122km ex Batemans Bay, 235km ex the ski fields and 290km ex Sydney. Ideally located near Bungendore, allowing for country living only an hour's commute from Canberra. Productive arable farming country, suitable for cattle and sheep some paddocks sown to perennial pastures including phalaris and cocksfoot. Soils are predominantly granite with areas of basalt. Production: Estimated carrying capacity of approx. 80-100 cows and followers. Ideally situated in Canberra's growth corridor on the fringes of Bungendore, Lockhart has excellent subdivision potential and real Landbank value. The elevated land enjoys wonderful views of Lake George. 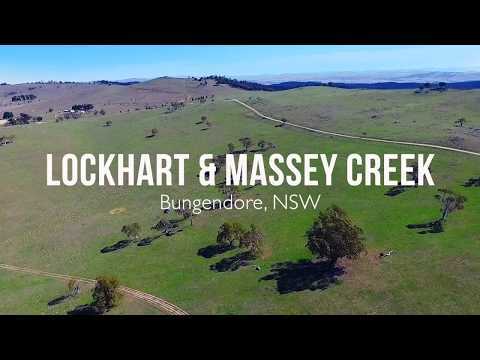 Boasts natural creek systems and springfed dams, with including double frontage to Butmaroo Creek plus a windmill/bore supplying elevated 40,000 gallon tank storage which gravity feeds to troughs. The homestead is equipped with rainwater and water from an electric well. Large steel machinery shed with roller doors, office and mezzanine. Steel cattle yards with central draft/race, loading ramp, undercover vet crush and truck access. Features an historic blue stone 3-4 bedroom homestead (c.1890), privately situated with mature gardens and newly installed carport, vegetable patch and orchard.